To create a proposal from an existing template, click on the Templates icon in the lefthand menu. From there, click on the Template that you wish to use as a starting point. This will open the Template. 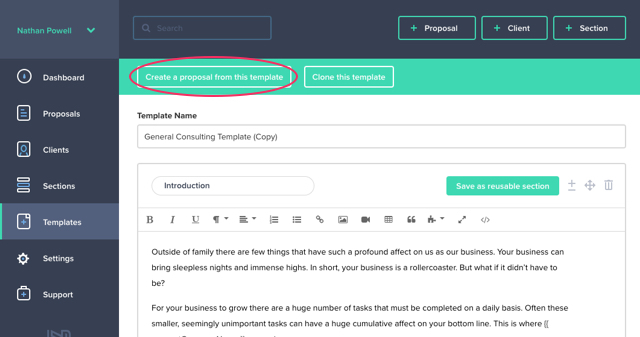 Click the Create a proposal from this template button. 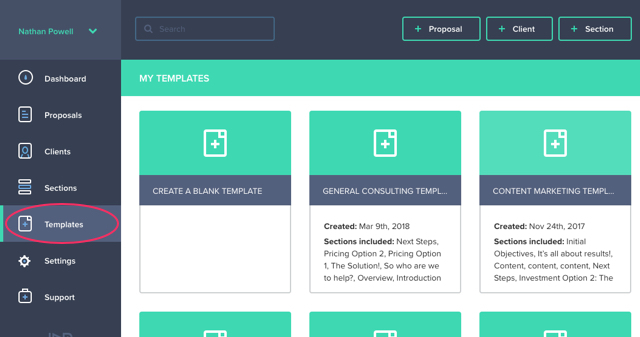 This will take you to the proposal edit screen where you can begin work on your new proposal.